WATCH Uh, how does gerrymandering work again? The Supreme Court Monday waded into a long-running dispute over the use of race as a factor in drawing Virginia’s state legislative districts, setting the stage for a major decision that could reshape the electoral landscape in a key swing state on the eve of the 2020 presidential election. The case centers on 11 state House of Delegates districts whose boundaries were drawn in 2011 following the 2010 census and have high numbers of black voters. Critics allege the map was drafted to “pack” racial minorities into districts to limit their political influence elsewhere; defenders say race did not predominate other race-neutral considerations. People vote in the Super Tuesday primary at Centreville High School March 1, 2016, in Centreville, Va. The Voting Rights Act of 1965 requires states like Virginia with a history of systemic discrimination to consider race as a factor when drawing boundaries. However, the 14th Amendment’s Equal Protection Clause limits states from using race to restrict voting rights of a minority group. The justices grappled openly with that balancing act, and how to measure it fairly. “I’m wondering how a state can comply with the Voting Rights Act on the one hand and Equal Protection on the other in this narrow band,” said Justice Brett Kavanaugh. The Republican-controlled House of Delegates, in drawing the map, decided that in each of the 11 districts – where minority voters make up a majority of the population in Virginia – black voters should be at least 55 percent of the eligible voter pool to ensure that African-Americans could elect a candidate of their choice. The plan at the time received wide bipartisan support and was supported by many members of the Virginia black caucus. The Obama administration Justice Department also signed off. 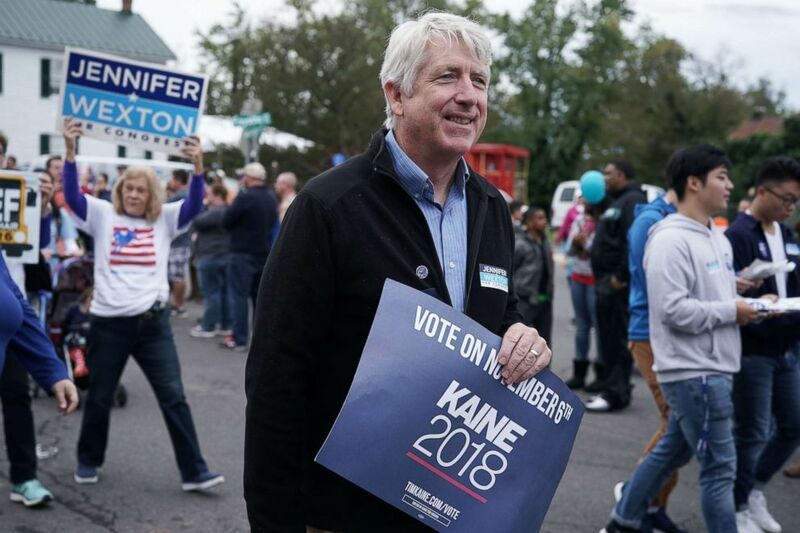 Virginia State Attorney General Mark Herring participates in the annual Haymarket Day parade, Oct. 20, 2018, in Haymarket, Va. But challengers say that the 55-percent target for black voters is arbitrarily too high. Justice Sonia Sotomayor seemed most receptive to that argument. “It’s hard for me to imagine how race is not predominant when they are drawing lines down the middle of a street” with black houses on one side and white houses on the other. Virginia Republicans hold a slim 2-seat majority both in the House of Delegates and the state Senate. Experts say redrawing the contested districts could give an advantage to Democrats headed into the fall campaign. All seats in the Virginia legislature are on the ballot in November. The outcome will determine party control of the state chambers headed into the 2020 census and next redistricting – the chance to reshape Assembly and congressional maps for a decade. 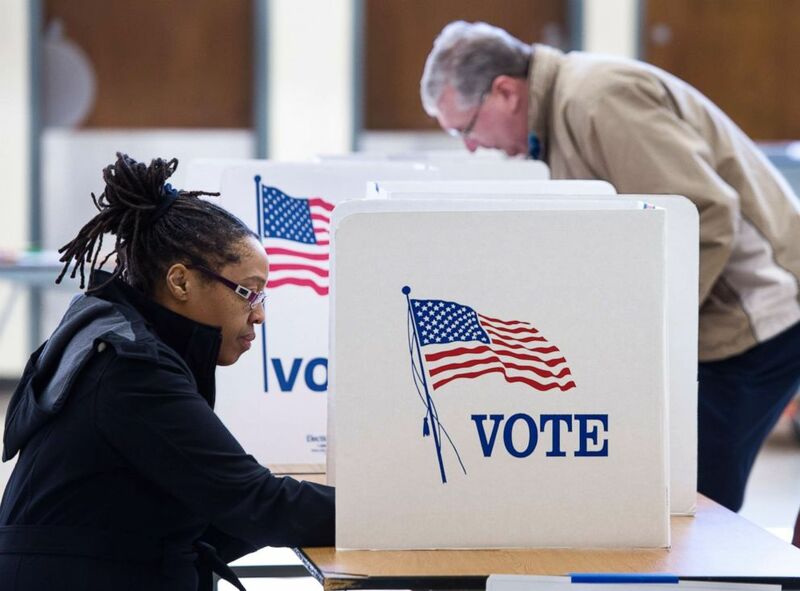 Virginia has been ranked as one of the most gerrymandered states in the country with districts drawn in many cases specifically to minimize the electoral influence of black Democratic voters, according to the nonpartisan Princeton Gerrymandering Project. Last year, a lower court sided with the challengers to Virginia’s map, ruling that the state assembly failed to conduct a “holistic analysis” of racial considerations unique to each district. It ordered that a new map be drawn before the 2019 elections. Virginia’s Democratic Attorney General Mark Herring decided to let that ruling stand, opting not to appeal to the high court. The state’s Republican-led House of Delegates brought the appeal instead. The justices now could also choose to stay out of the matter entirely, ruling narrowly that the Virginia House didn’t have the standing to bring a challenge at all. “What this court is being asked to do is referee a dispute within the Virginia state government,” said Virginia Solicitor General Toby Heytens. “But the state’s Attorney General has that authority” and chose not to exercise it. The Supreme Court is expected to issue an opinion by the end of June.